Proteins are the servants of life. They occur in all com- nent parts of living organisms and are staggering in their fu- tional variety, despite their chemical similarity. Even the simplest single-cell organism contains a thousand different p- teins, fulfilling a wide range of life-supporting roles. Additions to the total number of known proteins are being made on an increasing scale through the discovery of mutant strains or their production by genetic manipulation. The total international protein literature could fill a medi- sized building and is growing at an ever-increasing rate. 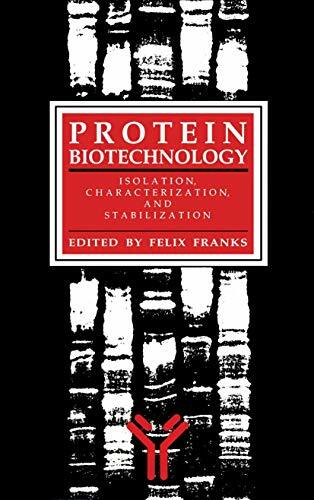 The reader might be forgiven for asking whether yet another book on proteins, their properties, and functions can serve a useful purpose. An explanation of the origin of this book may serve as justification. The authors form the tutorial team for an int- sive postexperience course on protein characterization or- nized by the Center for Professional Advancement, East Brunswick, New Jersey, an educational foundation. The course was first mounted in Amsterdam in 1982 and has since been repeated several times, in both Amsterdam and the US, with participants from North America and most European countries. 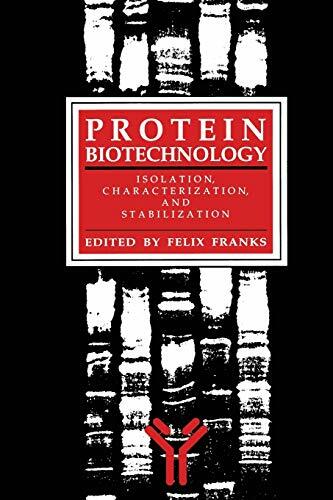 In a predecessor to this book, emphasis was placed on the role of protein isolation in the food industry, because at the time this reflected the interests of most of the participants at the course. Today, isolated proteins for food use are extracted from yeasts, fungal sources, legumes, oilseeds, cereals, and leaves.